Eguma says his team would learn from their mistakes and work on the right character to win their other upcoming games. 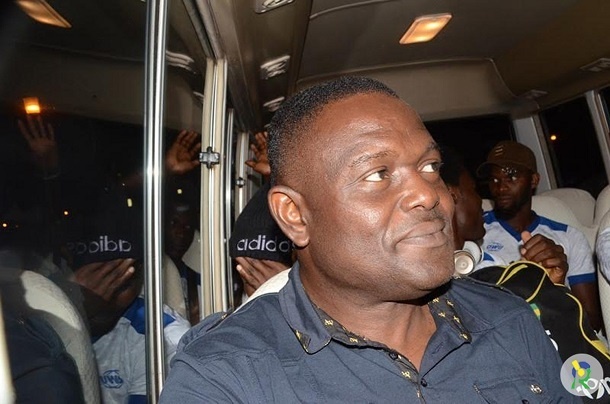 Coach of Rivers United, Stanley Eguma, is very optimistic that his team will make it past the group stage of the CAF Confederation Cup. Eguma reiterated his belief of making the Quarter finals of the second-tier club competition after his team beat Kampala Capital City Authority (KCCA) FC 2-1 on Tuesday. Early goals from Bernard Ovoke and Obomate Frederick helped Rivers United to the crucial win but Eguma said he would have loved to see a higher margin of victory. “Yes, it is a game of football, and nobody can change the result, but I am very optimistic that we will qualify from the group and move to the next stage of the competition,” the coach added. Eguma noted that the visiting team utilised the only opportunity they created in the extra time of the first half to gain some motivation for the second half. “The goal they scored against us was a cheap one, and it is because we became careless. The game paid us back for being careless,” he said. The coach however said his team would learn from their mistakes and work on the right character to win their other upcoming games. Rivers United are the only Nigerian team still competing in CAF Club competitions.